The Jungle NI in Magherafelt is one of the top activity centres in Northern Ireland, having a wealth of unique adventures that are held in high regard by groups. 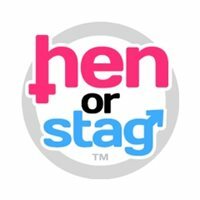 This post will uncover the range of exciting activities that are perfect for stag parties, and make for great team building opportunities. In the wake of the new series, we would be remiss not to begin with an “I’m a Celebrity Get Me Out Of Here” experience that you can tackle on your stag do! This amazing package brings together a number of trials inspired by the hit TV series, and with names like “monkey race” and “hell hole”—you get the sense that these games are not for the faint hearted. Your competitive streak will show as you compete in small teams to complete difficult challenges. Collect stars, eat meal worms and test yourself mentally and physically—all in a day’s fun! For an added authenticity to the experience, you can also camp out for the night with the lads—although with the delightful BBQ hut close by, we’re sure there’s something more substantial on the menu than just rice and beans! The group activity that has put The Jungle on the map is definitely paintball. Paintballing here has 10 unique zones which throw up a number of exciting games, from ‘Capture The Flag’ to ‘Storm The Hill’. Competition is rife with these games, as the two in question provoke frontal assaults from both respective teams. However, it is the wide variety of games that will keep the energy in your group running high, as other zones here require conflicting goals. Take the church for example, a famous map which has gravestones dotted around a field surrounding a church. One team attacks the church using the gravestones for cover, whereas the other team defends it. As you can imagine, the energy reached here between the two teams will make for a fun afternoon! If you’d prefer to get to grips with real rifles, you can test your aim on the range by having a day of Clay Pigeon Shooting. This olympic sport involves shooting clay pigeons as they are fired into the sky, so it’ll be the ultimate test of your concentration. A qualified instructor will be on had to give pointers, helping you master your aim so that you can hit your targets with precision. Aside from Clay Pigeon Shooting, you can also fire arrows on the range. An instructor will give you a demo and how to use the bow, after which your group will have at the bullseye! Few sports are as rewarding as archery, and an afternoon of shooting targets is a stag do well spent! One of the lighter hearted activities available here is zorbing, which will see you getting inside a see-through bubble and careening down a hill! The hill itself is 300m high, and the zorbing balls you get into will be accompanied with water (if you wish) to help you slosh around the ball uncontrollably. If the hill seems a bit daunting to your group, you can enjoy an afternoon of zorb football instead. This hugely popular activity involves wearing zorbs that cover the top half of your body, leaving only your legs exposed. After that, it’s just a regular five-a-side, except you’re in a bubble and you can use said bubble to crash into your friends! These are just a few of the great stag do activities available here, so if you’d like to see more—take a look at The Jungle NI for yourself!